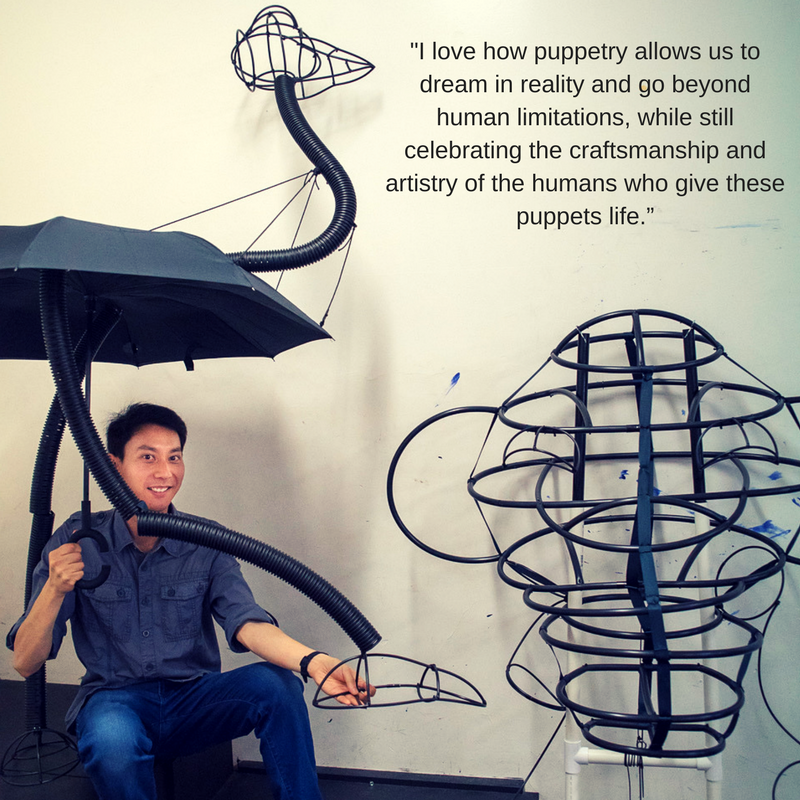 Today, all around the world, people from all walks of life celebrated World Puppetry Day 2018! 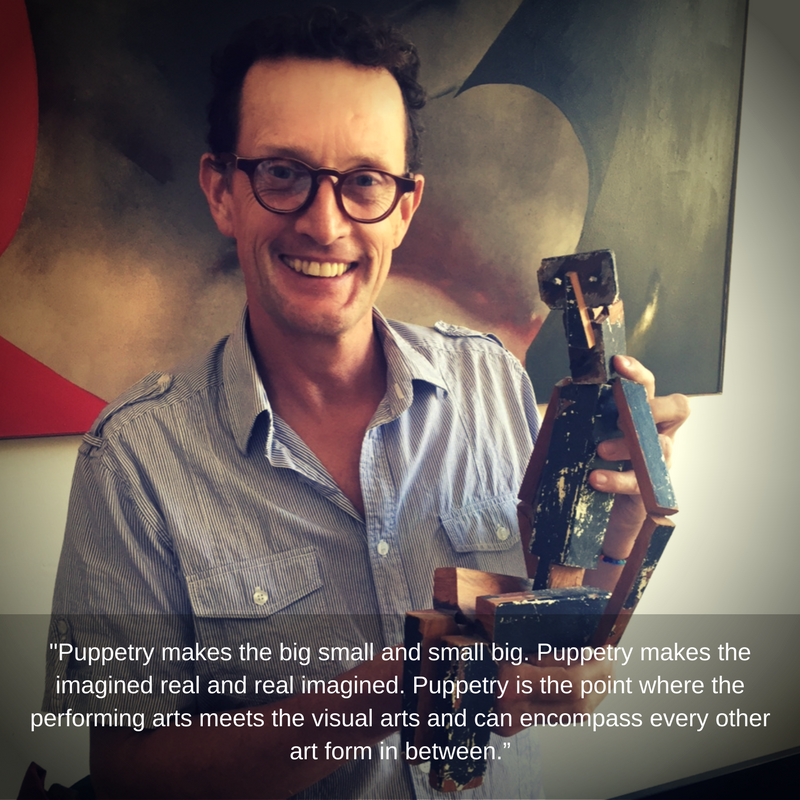 Spare Parts Artistic Director Philip Mitchell, with a puppet he made when he was a young puppeteer in Tasmania – He chopped up an old coffee table he had left out in the harsh Tasmania weather and with his wood chopping axe and a blunt saw, crafted this very humble puppet! His eyes are the stained nail holes and the wood is actually a very rare and beautiful Tasmanian timber called King Billy Pine! Leon Hendroff, Co-Creator, Designer and Puppet Maker of Carnival of the Animals, seen below with the Emu and Chimp puppets under construction.